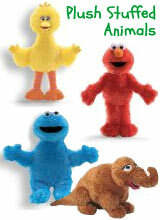 All transactions are safe and secure with a reliable history in sales behind our associates. 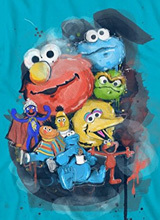 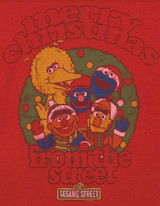 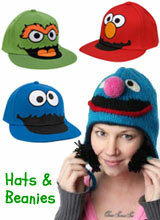 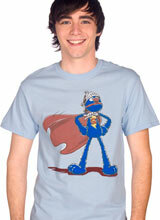 Buy Sesame Street t-shirts and clothing like the I Was Raised on the Street t-shirt, Sesame Street hoodie sweatshirts and hats. 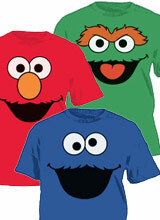 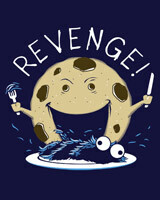 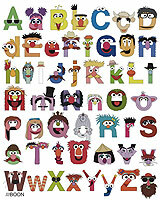 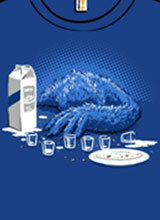 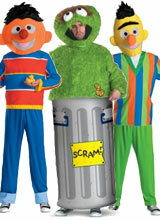 The Sesame Street TV show is an educational American children's series that debuted in 1969. 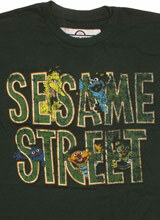 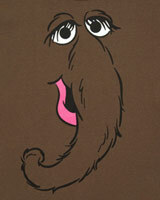 The show was designed to prepare kids for school by teaching basic concepts such as letters, numbers and colors through Jim Henson puppets. 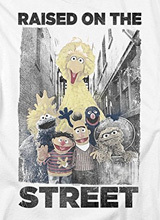 Big Bird and his gang of friends, including Elmo, Grover, Count, Oscar the Grouch, Cookie Monster, Snuffleupagus, Bert and Ernie, have been able to keep learning entertaining for many generations of youth. 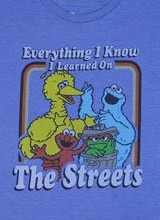 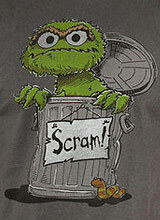 Peruse our Sesame Street tees like the hilarious "I was raised on the street" Sesame Street t-shirt and the Talk Trash Oscar Grouch shirt. 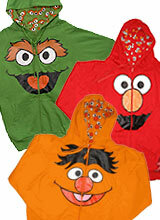 Warm up in a Sesame Street hoodie sweatshirt.